Former AC Milan and Rangers midfielder Gennaro Gattuso says he cannot see a place for women in football. Milan chief executive Adriano Galliani agreed last week to share his role with Barbara Berlusconi, daughter of club president Silvio. "For someone like Galliani there should be more respect," Reuters reported Gattuso as telling Italy's Radio Radio. "I can't really see women in football. I don't like to say it but that's how it is." 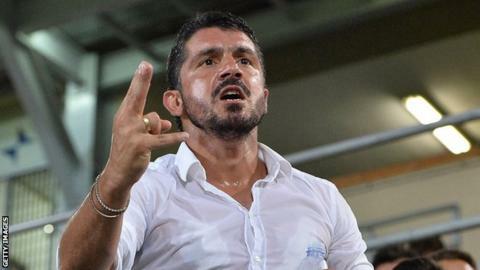 Gattuso spent 13 years with Milan, winning two Champions Leagues, two Serie A titles and the Coppa Italia.